Holds 2 rolls up to 5-1/4″ diameter. 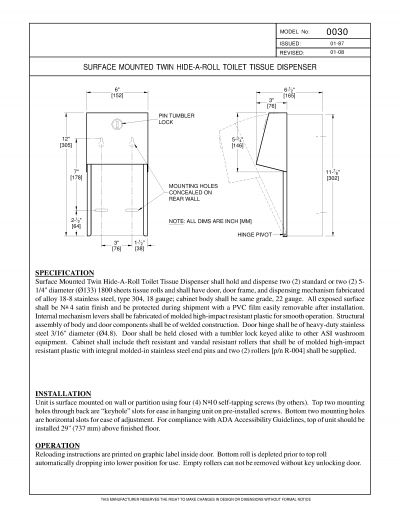 Top roll automatically drops into place when bottom roll is used up. 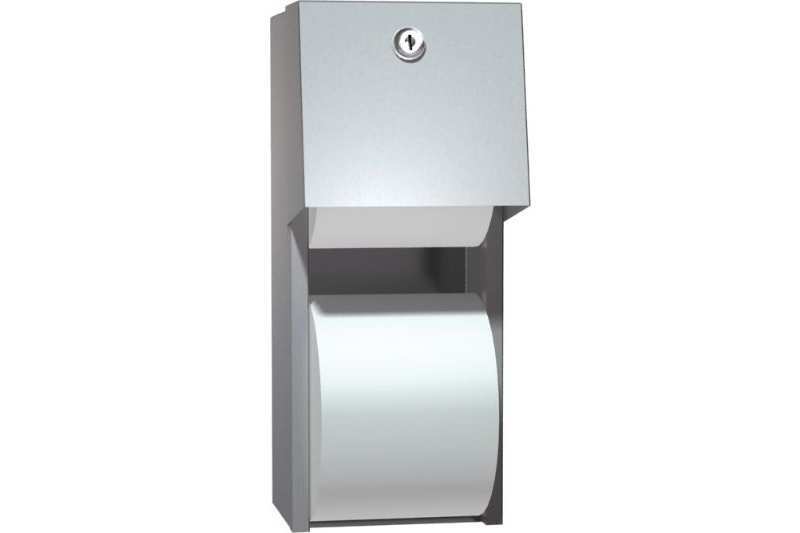 Cover tumbler locks to discourage vandalism. 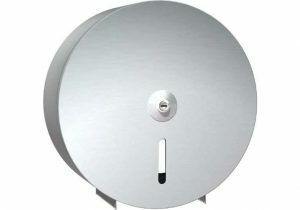 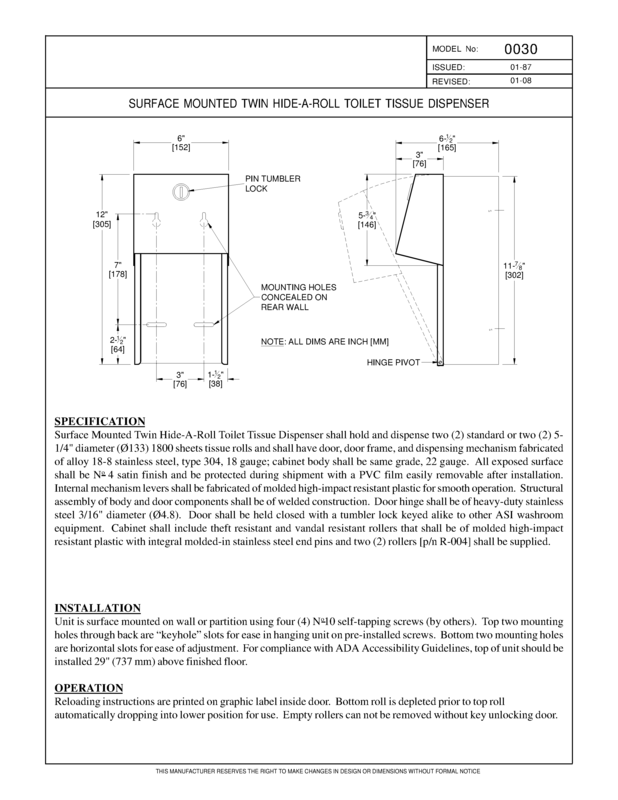 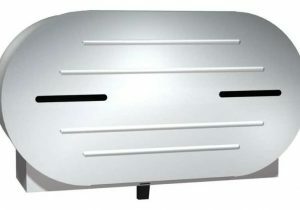 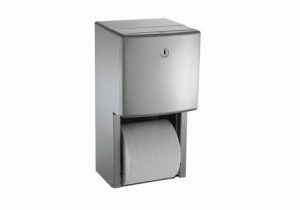 Surface Mounted Twin Hide-A-Roll Toilet Tissue Dispenser shall hold and dispense two (2) standard or two (2) 5-1/4″ diameter 1800 sheets tissue rolls and shall have door, door frame, and dispensing mechanism fabricated of alloy 18-8 stainless steel, type 304, 18 gauge; cabinet body shall be same grade, 22 gauge. 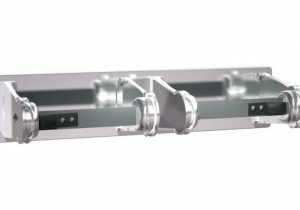 All exposed surface shall be N o 4 satin finish and be protected during shipment with a PVC film easily removable after installation.Internal mechanism levers shall be fabricated of molded high-impact resistant plastic for smooth operation. 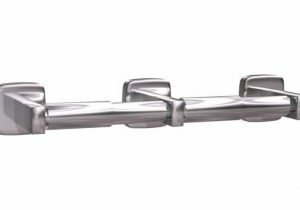 Structural assembly of body and door components shall be of welded construction. 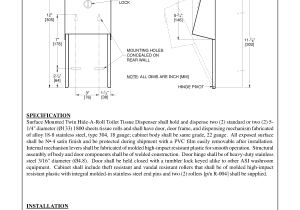 Door hinge shall be of heavy-duty stainless steel 3/16″ diameter. 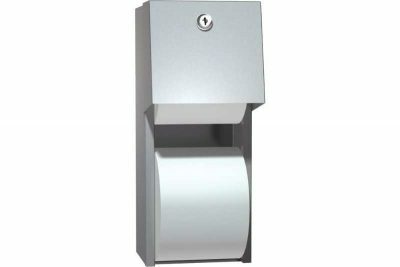 Door shall be held closed with a tumbler lock keyed alike to other ASI washroom equipment. 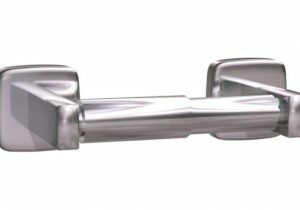 Cabinet shall include theft resistant and vandal resistant rollers that shall be of molded high-impact resistant plastic with integral molded-in stainless steel end pins and two (2) rollers [p/n R-004] shall be supplied.